As much as I love going Christmas shopping and buying beautiful presents for all of my friends and family... 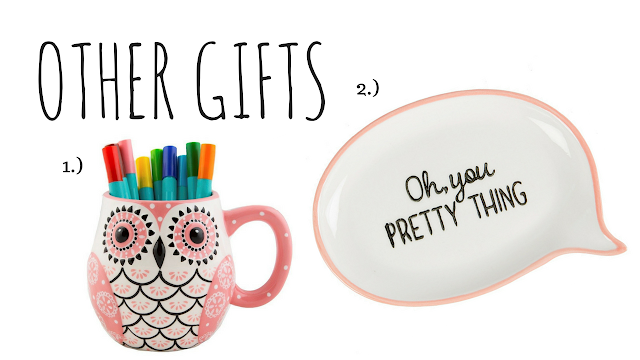 I know it can sometimes be super hard to find nice gifts that are affordable. Luckily, I've got your back this year! 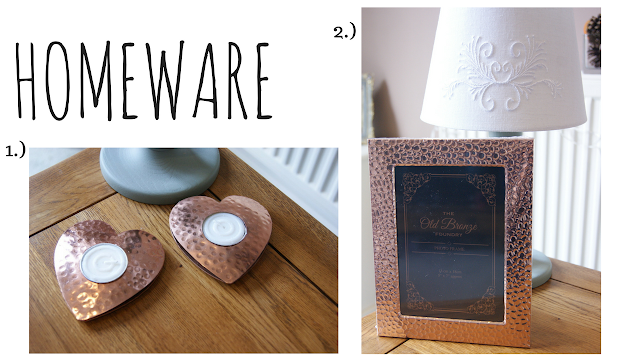 I've teamed up with 'The Lifestyle Blogger UK' to show you some of my favourite bits and pieces from their store that would make great gifts! Everything is so affordable and they offer a wide range of items so there has got to be at least one thing that catches your eye. I've put jewellery first because to be honest... as long as you know the person wears jewellery then you can't really go wrong! 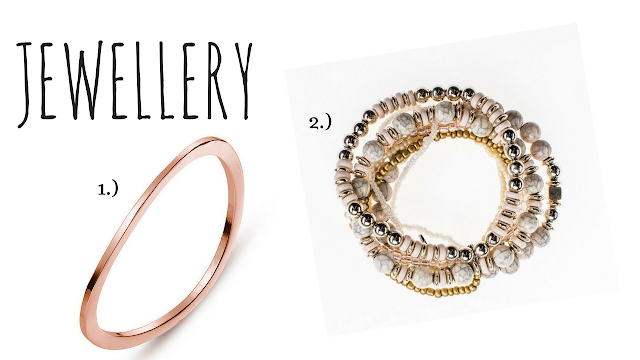 There are so many affordable beautiful pieces available so you'll definitely be able to find something perfect for your gift receiver! Who doesn't love rose gold? If you're looking for something that matches the minimalism aesthetic then you need to check this out! This is more of a 'girly' bracelet, but it's so beautiful and will go with so many different outfits. You basically get loads of little bracelets that you can mix and match, wear separately or together - it's definitely worth the money. Buying clothes for other people is always risky because you never know whether it's the right size or not. 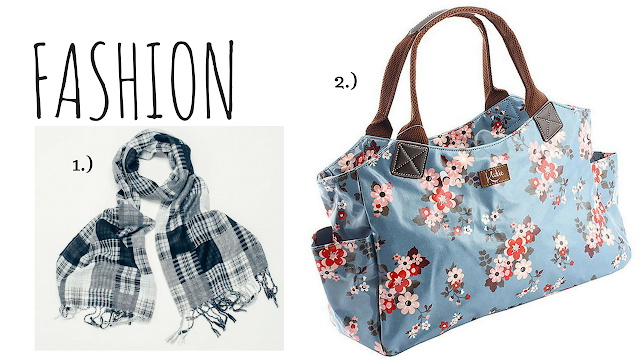 Accessories like scarves and bags are a great way to incorporate fashion into a gift without having to worry about any sizing issues. I love this so much that I think I'm going to have to go and buy one for myself! It looks like something you would find in stores like Topshop, and we all know that Topshop's prices are way over £10.00. This has a similar look and print to some of Cath Kidston's bags, but it is A LOT cheaper. It's quite big so would be ideal for people who carry 'a little more than the necessities' with them! I love filling photo frames with lots of special photos to make a really treasurable and beautiful gift. Oh, and anything to do with candles is always a winner! How cute are these?! They would look so cute placed on bedside tables, a really gorgeous gift! I absolutely love the hammered effect on this frame, and it matches the tea light holders! A really cute gift would be to give the matching frame and tea light holders together. 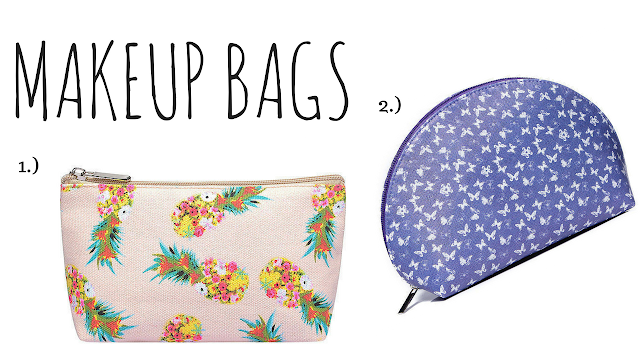 All makeup fans love a new makeup bag! They always get so dirty and grubby so a new one is always welcome. Can we just take a minute to appreciate how cute this makeup bag is? Pineapple design things are everywhere at the moment... I was going to call pineapple designs 'trendy', but I think that's just taking it a bit too far! This one is a similar price to the pineapple print one, but the design is a lot simpler with a very different colour scheme. Most of you by now probably already know, that I am literally a stationary 'freak'. I even did a whole post dedicated to a stationary haul once! I know that I'm not alone though because stationary just seems to be something that pleases everybody which is why it makes such a great present. The Johanna Basford colouring books are INCREDIBLE. They are so detailed and so beautiful... and also usually £10.00. Well, guess what? I've just given you the link to a store that sells it for £4.00... you're welcome! 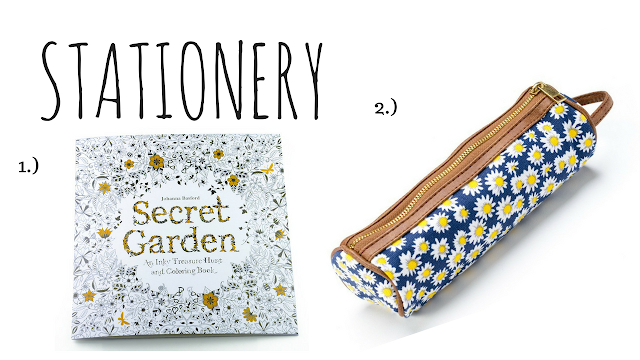 I think pencil cases are a really great present to give because they can be used for so many different purposes. Makeup brushes fit really nicely into them so they are super handy for that. And then there are the miscellaneous items that just wouldn't fit into any category. These are two of the cutest items from this whole post though and they actually look quite nice together. Like shown in the picture above, I think this would be a super cute pen holder for your desk. I guess a hot chocolate in that would also be really 'instagrammable' too though! I've been wanting to get something like this just to keep any jewellery and other bits and pieces on. This is so pretty though that it deserves to be on display! Do you have any of the Johanna Basford colouring books?